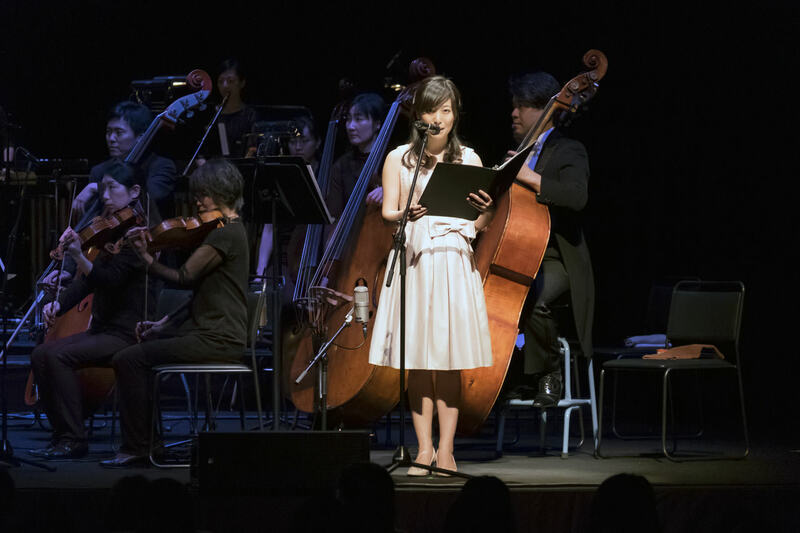 During the Kingdom Hearts Orchestra - World Tour - in Japan, the Japanese voice actress of Kairi and Xion, Risa Uchida, came onstage and performed lines. The Japanese voice actress for Aqua, Megumi Toyoguchi, later came onstage and performed some lines as well. These lines are canon to the story of Kingdom Hearts and explain some back story for Kingdom Hearts III. I didn't notify you but you might've already heard from Yen Sid-sama. I've come to train to become a Keyblade wielder. Until now, I've only been waiting for you guys to come back from your journey. Maybe with this I can at least help out a little. The magician Merlin-sama can use magic that surpasses time. Here, we can forget about the flow of time. He apologized to me over and over again. As we trained together we started talking to each other. 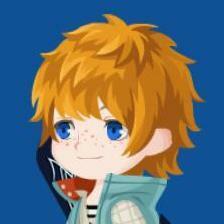 I found out Lea also has a best friend he wants to save. So I'd ask him, what's wrong? I wonder how my "everyday" would've been. The taste of ice cream. All of it is my treasure. Thank you for calling out my name. Thank you for inviting me to the clocktower. Thank you for picking up shells for me. Thank you for coming to bring me back. Thank you for letting me be your friend. @momo_krys hasn't translated Aqua's lines, but he says they were pretty much something like "Ven, Terra, become the light that will guide me through the darkness!" He says that it was essentially just her saying that she wanted Ventus and Terra to guide her in her darkness and to become the light that shines her path. If you didn't know, last year during the Kingdom Hearts Concert - First Breath - in Japan, a similar situation to this happened. The Japanese voice actor of Terra and the Japanese voice actress of Naminé came onstage and performed some canon lines for Terra and Naminé. You can view those lines here. UPDATE 2: For all the other orchestras around the world, they played recordings of these voices with English subtitles. 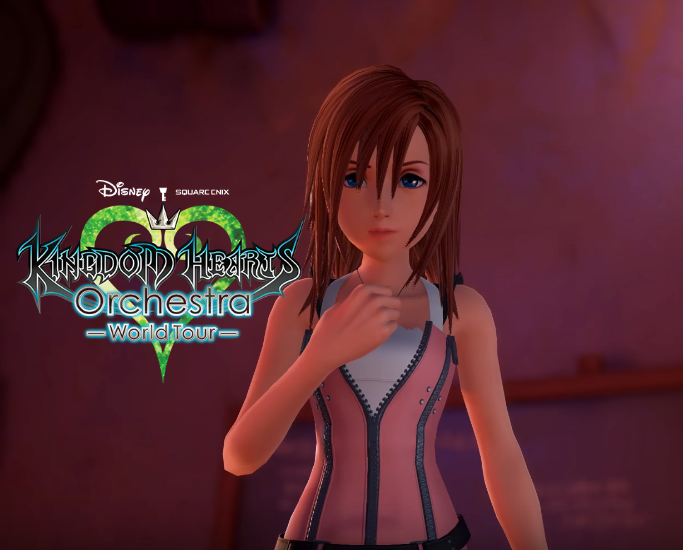 The recording of Kairi's voice played while Dearly Beloved played, the recording of Xion's voice played while Vector to the Heavens played, and the recording of Aqua's voice played while Wave of Darkness played. 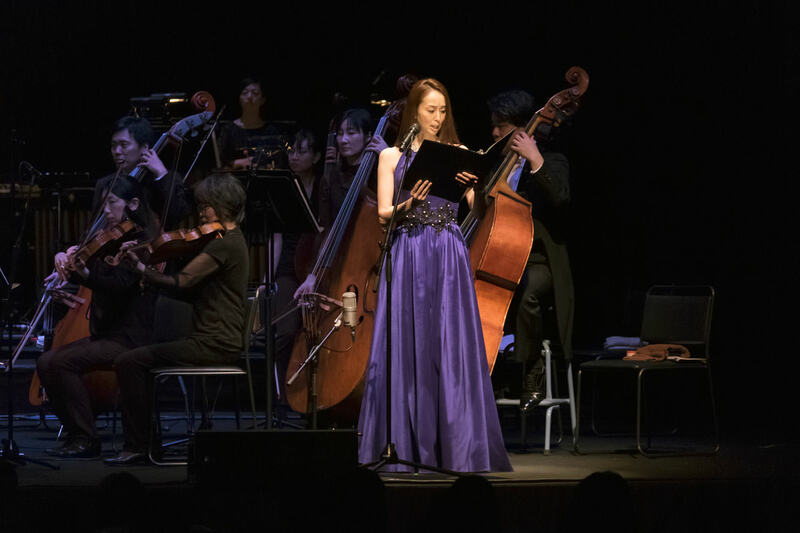 UPDATE 3: After performing at the final Kingdom Hearts Orchestra - World Tour - in Osaka, Japan, Risa Uchida expressed her feeling of gratitude on Twitter and provided a couple photos of herself at the event. Calling it now. 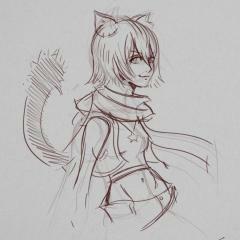 Xion will have her body back, she'll become her own person and everyone will remember her. I think these type of character comments are staring to symbolize something deep. Like it's connecting to something very deep. What if there's more of these during these concerts? Is this only exclusive to japan or will it be shown at all of the concerts? That's currently completely unknown. Don't expect anything though unless it gets confirmed. EDIT: The recordings of the voices are shown at the other concerts with English subtitles, instead of the voice actors performing. Wow. On the plus side, it's nice to see how Kairi is regarding the training and to actually hear her talk to Sora again. Still, the idea that the other concerts might not get something like this bugs me. Unless each one get's its own thing, but I'm not sure if they'd be able to grab a hold of the English voice actors for any lines they could give. Guess we'll have to see how they handle the other concerts. I whole-heartedly agree with you there. I don't mind that they got something which others may not receive but rather that some concert goers might not receive anything special at all... I'll still enjoy the concert of course, but I guess it would be a bit disappointing in comparison. But I also get why. 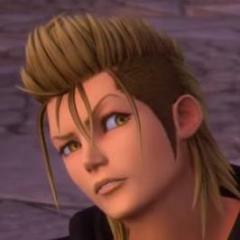 KH did not receive any synchronization in a language other than English after KH2 and the VAs are American. Flying them to Europe or Singapore to say a few lines for example would be rather expensive and a bit blown out of proportion, but I think some sort of recording would be nice. They wouldn't have to be present and it could be coordinated fairly well. Well now the whole Lea being a keyblade welder makes more since, Merlin has some hyperbolic time chamber. They said that he and the fairies would help him with their magic somehow but they never went into detail. 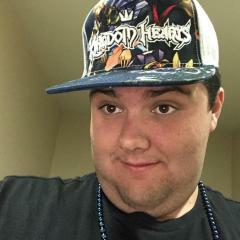 Nobody really dies in Kingdom Hearts so that's no surprise. I'm all for Xion's revival, I just hate the convaluted nature of how she existed in the first place. Too much spoilers on this site lately, I for one like to be surprised. Then again I don't have to read them. Then again I didn't. It's really nice to have this kind of thing while we don't get any news form KH III. But it also gets me worried, because it feels like these scenes won't be in the game, probably leaving most of us confused with the lack of background... but let's wait and see! At least we have SOMEthing. And besides, there's a concert in Paris NEXT week. I'm sure we'll get more info THEN. 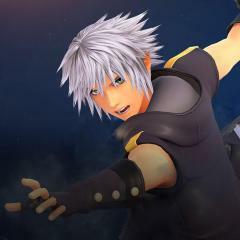 Riku has spent all his time in CoM, KH2, and KH3D trying to redeem himself for what he did in KH1.
" "I don't know, but I feel like it's something I must recall", He'd say... "
And never once has he actually apologized to the people he's hurt. Hell, his entire motivation for staying in the shadows in KH2 is to specifically get out of having to say that he's sorry to people. momo_krys is still going to translate the Aqua lines in full, right? I mean I know it's probably something we're used to hearing from Aqua by now, but it's still just as important as the others, especially considering how you could argue the same thing about Xion's lines. Besides, it's still Woman's Month, so it's only fitting that we get to read everyone's lines! I have a feeling in a proper English dub it would be read as "Don't know. Guess I just couldn't get it memorized." I mean, this is still Lea we're talking about, he's always gotta find a way to work that phrase into everything. "Committing to memory" just ain't gonna cut it, lol. The best part is what's happening with Kairi and Lea. Looks like we have nothing to worry about as they get along now. I think Lea keeps staring at Kairi because he's faintly remembering Xion here but very faintly. I also like how he keeps apologizing to Kairi since he didn't get to do so as Axel, and I love how Xion's part shows how much she loved the small, simple things she did with Axel and Roxas.